Thank you for visiting IBS Diets. My name is James and I have been a sufferer of IBS for nearly 20 years. 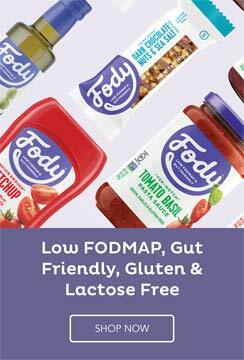 A few years ago I was made aware of the FODMAP diet and started looking into how to undertake it and what foods were allowed. To my dismay there was very little information available so I have tried compiling as much information on the diet as possible. Thanks to the FODMAP diet I have found out which foods can cause problems for me and through the reintroduction phase I have found which high FODMAP foods I can tolerate. My hope is that this site will be of value to you and provides well researched and informative content related to the Low FODMAP Diet and other IBS diets. 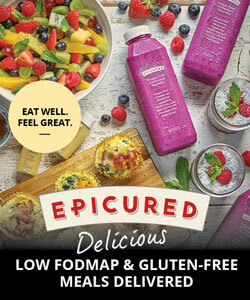 I aim to offer the most up to date information on the FODMAP diet. If there is any information in regards to IBS or the FODMAP diet that the site is lacking in please contact me via the form below and I will do my best to help assist you. I have had help with contributions from my dietitian as well as the following authors who have experience with the Low FODMAP Diet and issues related to IBS. Suzanne Perazzini lives in Auckland, New Zealand. 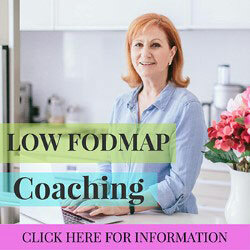 She is a nutritional therapist specializing in irritable bowel syndrome and the low Fodmap diet (certified by the Monash University on the low Fodmap diet), qualified teacher, award-winning author and fulltime low Fodmap diet coach. Her website, www.strandsofmylife.com features low Fodmap recipes, videos and articles on IBS and the diet. She has been featured on numerous podcasts, has had articles on several large health websites and had many of her recipes published in hard copy magazines. She has suffered from IBS forever and after having her life transformed by the low Fodmap diet, she now dedicates her days to coaching others on how to eliminate their IBS symptoms once and for all. Dr Ahmed Zayed MD, MCh has a Bachelor of Medicine and Surgery from University of Alexandria, Egypt and has an interest in providing accurate and highly researched information to help IBS sufferers. Dr Ahmed has a passion for writing and when he it not busy treating his patients he enjoys spreading awareness about healthy lifestyle choices. The best way to contact me is via the form below as this will go straight to my email inbox.